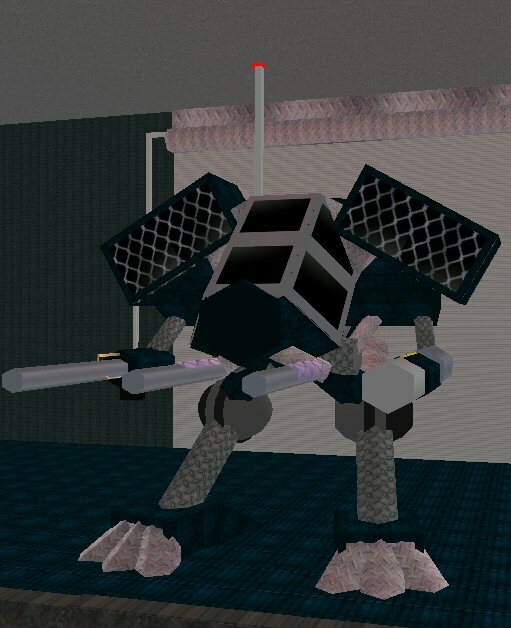 The Pyraxa M1, built by PyraTech (an affiliate corporation for Swarmy), is the flagship security mecha used by the army. It is favored for its versatility as it is able to be fitted in a way no vehicle can compare with. Speed, power, stealth - the Pyraxa can do it all. The technical specs of the mecha remain classified, but it plain to see that it is at least armed with two large rocket racks, a vulcan cannon, twin lasers and a plasma cannon. It is believed that the mecha is also armed with some internal electronic warfare equipment such as an ECM and thermal disruptors. Pyraxa, and its manufacture for that matter, is named after the Manzangeese? fire god Pyraxa?. Armament: 2x SRM bays, 2x pulse lasers, universal weapons mounts for machine guns, energy cannons, etc.